To celebrate Euro 2012, purveyors of finest retro footie attire COPA have released a stunning new range of t-shirts. The latest in the ‘Designed by ...’ series includes the usual superb Dutch designs but also an excellent England Lions T-shirt. But the COPA x St. Willibrordus School T-shirt is probably the most remarkable. 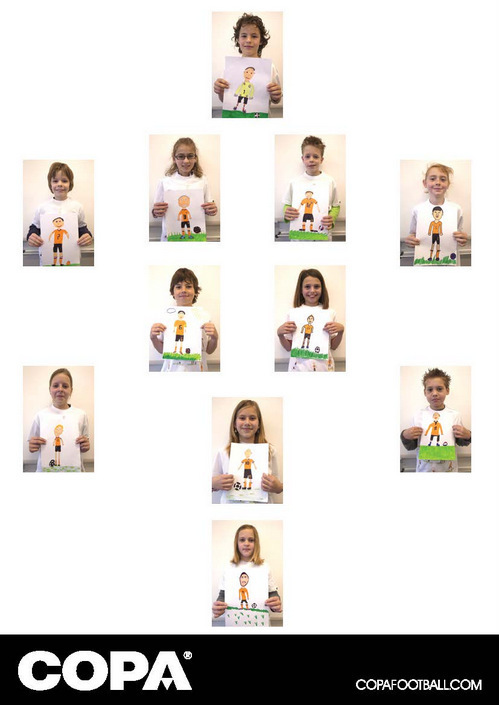 As brand collaborations go, COPA’s tie up with the children of class four of the St. Willibrordus Primary School from Diessen, a small village in the South of the Netherlands, might not attract the same attention as other links, but the children were given full creative freedom to design their favourite Netherlands T-shirt. As always, COPA’s tees are superbly made, built to last and possess that quintessential supersoft touch. The entire collection can be viewed at copafootball.com. Wholeheartedly recommended by IBWM.